Armed Police Battalion (APBN) launched its journey in 1975 under “The Armed Police Battalion Ordinance 1979 [Ordinance No.xxv of 1979]” and Armed Police Battalion rule-1991.With an aim to maintain internal security, contain armed gangs, recover illegal arms and explosives and help police in maintaining law and order, APBn has been formed to work under the structure of police department.Newly formed Battalion Headquarters of APBN are being served under an Additional IGP. Under these headquarters, there are 11 battalions of APBN range while the Special Security and Protection Battalion (SPBn) range has 2 battalions.Their main function is to provide security of the installations while the VVIP/VVIPS’ were staying there.Other function of the force includes providing special security to important persons, serving as house guard, escorting vehicles and conducting intelligence activities. 2. APBn-2 at Muktagachha, Mymensingh. 7. APBn-7 at Uttara, Dhaka. 8. APBn-8 at Uttara, Dhaka. 10. APBn-10 at Mohalchhari in Khagrachhari. 11. APBn-11 (women) at Uttara, Dhaka. 12. 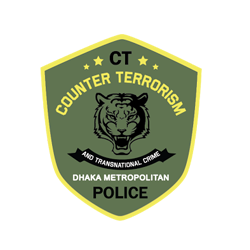 Special Security and Protection Battalion-1& 2, Uttara, Dhaka. 2 Armed Police Battalion started its Journey on 01 October, 1975 and was named 2 Armed Police Battalion. After moving to several parts of the country such as Borkol of Rangamati district, Mirpur of Dhaka, Bilaichori of Rangamati, Khulna, Barobunia of Rangamati and Chittagong, it has been shifted to its latest destination at Muktagachha Zamindar palace, an emblem of historical heritage of Mymensingh district, on 06 August, 2009. It acquired an area of 25 acres from benevolent personalities of this locality. It is guided by armed police Ordinance, 1979, Armed Police Battalion rules, 1991 and Armed Police Battalions (Amendment) Act, 2003. As per the ordinance, the battalion force shall be employed for the purpose of internal security duties, recovery of unauthorized arms and ammunitions, apprehension of armed gangs of criminals, assisting other law enforcing agencies and such other duties as assigned by the government from time to time. The 3rd APBn was established in Khulna on 17/07/2006. Md. Mostafa Kamal is its current commanding officer. 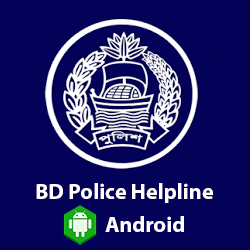 A good number of force of 3rd APBn are staying in 14 police camps in different locations of Khulna range and are helping district police to curb crimes. The members of this Battalion are also included with the 5th APBn, Uttara, Dhaka, and have been deployed to ensure security of the Honorable Prime Minister’s resident (Gono Bhaban). a) Primarily, it played preventive lawful action against criminals and recovered illegal arms and ammunitions. For protection of VVIP, PMs house, Chief justice house, and secretariates; 4 APBn is playing a vital role. b) Being a part of Sardah police Academy, this unit has already given training to TRC of 151 th,153 th,154 th and 155 th batches. Armed Police Battalion (APBn), Barisal was primarily launched as a River Battalion at Bells Park in 1976. Later it turned into APBN having its office on the bank of Kirtonkhola at South Alekanda. Situated on a 26.98 acre land, APBn Barisal has a number of establishments including a two-storey office complex, 2 five-storey force barracks, APBn Public School, a 3-storey wind tower, Training Wing of Trainee Recruit Constable etc. The 7 Armed Police Battalion was established in 01 October, 1975. In the course of its long journey, this Battalion moved to many places in the country before finally get settled to its present location at Ashulia on 05 August 2010. The Government decided to move 7 APBN from Barbunia, Rangamati to Ashulia, Dhaka against the backdrop of fierce labour unrest that spread in the Industrial belt in and around Dhaka. Since than it has been playing a major role in maintaining a peaceful atmosphere in the industrial area alongside conducting VVIP duties. This Unit has no Permanent Headquarters. The temporary Battalion headquarters is located in a building at the new EPZ complex at Ashulia. At present, it has four temporary camps in the Industrial area in Savar and Ashulia. It has also a temporary camp at International War Crimes Tribunal in Dhaka. 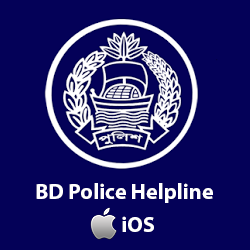 The 9 Armed Police Battalion is situated at Baizid Bostami, sholoshahor of Chittagong town. a) In 1987, the 9 APBn, Bogra transferred with 7 APBn Khagrachari. 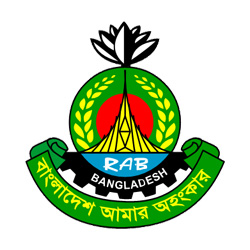 b) In 1989 it was transferred with 6 APBn, Barisal. c) In 1993 it was transferred with 5 APBn, Bilaichari. d) In 1996 it was transferred with 1 APBn, Khulna. e) In 2000 it was transferred with 5 APBn, Mohalchari. f) In 2003 it was transferred with 4 APBn, Uttara, Dhaka. g) In 2009 5th October it was transferred with 2 APBn, Chittagong. 9 APBn, Chittagong is one of the important battalion among other 13 APBn & SPBn. Its duties range from VVIP protection to Security and Protection of Hazrat Shah-Jalal (R) International Airport, assisting Chittagong Metropolitan Police and other units including Chittagong Hill Tracts for maintaining law and order. It earned reputation by seizing illegal arms & ammunition, illegal goods and arresting many jail-birds. SPBN was created by a government order on December 26, 2011 and started it’s function in May 2012 with two battalion. Currently, members of this battalion are engaged to provide security of Very Very Important Persons (VVIPs) at different venues. a) Provide security and protection to the honorable President and Prime Minister of Bangladesh. b) Provide security and protection to any local/foreign person designated as VIP. a) Aim is to ensure the finest professionalism in dignitary protection in Bangladesh.